Give students with relevant experience at master’s level the opportunity to carry out focussed research in the discipline under close supervision. 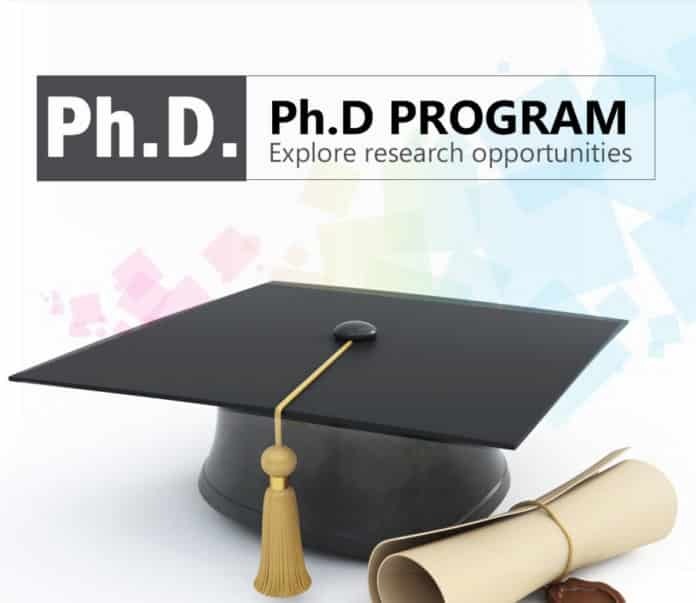 Provide all students with relevant and useful researcher development training opportunities to broaden their horizons and properly equip them for the opportunity which they seek following their Ph.D. studies. At least an II.i UK four-year “undergraduate master’s” (honors) degree or a UK three-year bachelor’s (honors) degree plus a relevant one- or two-year master’s degree or equivalent. Applicants with undergraduate degrees only will not usually be considered, although some 4-year programmes with a strong research component may be eligible for entry. Note: If you are in any doubt about fulfilling the Department of Chemistry entry requirements contact [email protected] before submitting an application. This will avoid your application being automatically rejected. Those applications submitted by the 10th November will be considered in the first round, with interviews scheduled to take place in December. The remaining applications submitted by the University funding deadline of the 5th December will be considered in a second round with interviews taking place in January. Please note that incomplete applications (those missing one or both academic references) will be seriously disadvantaged. Applicants should ensure that academic referees submit references BEFORE the funding deadline. We strongly advise applicants to submit their applications as early as possible to maximize their chance for interview. The Department will be conducting interviews by a panel of at least two academic members of staff on several key dates to identify the top ranked applicants to go forward to the University funding competition. Successful applicants will be made offers and entered for the funding competition by early February. Unsuccessful applicants will be notified as soon as possible. Applications submitted after the University funding deadline will be considered on a rolling basis, and these applicants should expect to hear whether they have been successful within six weeks of their completed application having been received. Editor’s Note: PhD Chemistry Admission Programme, University of Cambridge Ph.D. programme 2019. PhD october 2019 session, PhD chemistry admission, Ph.D. pharmacy admission, Ph.D., Chemistry, Pharma, Subscribe to Rasayanika for latest job updates.